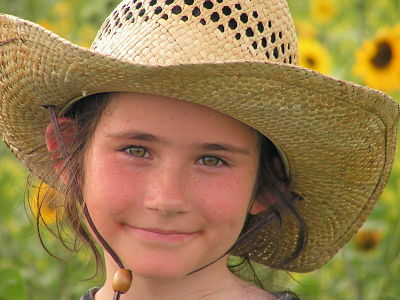 To have a happy self-confident person, it is important to start as young as possible! As you know, it’s a dog-eat-dog world out there, meaning that building confidence in your kid is critical facing life’s realities as he/she grows up. The school and workplace are fierce and competitive environments. Not all the people they’ll meet are as sweet and kind as their families. And there are dangers everywhere. Your child’s best defense against all these is a healthy and positive self-esteem and high self-confidence. Kids who recognize their strengths and weaknesses find it easier to feel good about themselves, handle stress and conflicts, and thrive even in a competitive place. Overall, these children grow up to be realistic and optimistic adults, ready to take on the world. On the other hand, those with low self-esteem are easily stressed and frustrated with problems. Because they think they are “not good enough,” they don’t go out of their way to find solutions to these problems. As a result, they become depressed, withdrawn and passive. Don’t let your kid be like one. Don’t worry. Building confidence in children isn’t that difficult. There are many building confidence exercises and self-esteem activities for kids that you can use to raise your own with a positive self-concept. Love unconditionally. It’s true that only a parent can give unconditional love, the kind that says, “I love and accept you for who you are no matter who that is.” This makes a child feel secure, that even with his faults and failures, you’ll love him no matter what. Show your love and affection. Children who receive plenty of kisses, hugs, and I love you’s grow up to be more secure. Don’t scrimp on the compliments. When you child does something nice, be sure to applaud him for that. Don’t be afraid that you might spoil him by appreciating the good things that he does. Of course, you don’t have to be on standing ovation for every little deed that he does. But for his more important achievements, be there to offer a praise. Give your child enough attention. Undivided attention can be difficult in today’s society plagued by work overload and technological advancements. But instead of hugging your child while you surf the internet, shut everything off and give your child your full attention. Doing so makes him feel that he’s important. Don’t shut him off from the world. Just because you know it’s a dangerous world out there, it doesn’t mean it would be best for him to stay locked up inside the house all the time. Let him go out and experience what is out there (of course, with close supervision). Let him take healthy risks like riding a bike, meeting a new friend, trying a new sport and so on. Let him learn from his mistakes. Let your child experiment but within reason. Avoid comparing your child to others. This is especially true if you have several children. Don’t compare your firstborn with your youngest or your middle child with his older sister. That would only make the child feel about himself. These building confidence tips would surely teach you how to raise your child in a healthy and positive way so that he grows up to be a self-assured adult. This entry was posted in building confidence, improve confidence, self confidence, self esteem, self improvement and tagged building confidence, building self esteem, gain self confidence, how to be more confident, self confidence, self confidence tips, self improvement, success on September 12, 2013 by ConfidenceCureGuy777. Self Esteem: What Influences Our Self-Concept? Self-esteem and self-confidence are two terms that are typically thrown around interchangeably. While they are similar in many ways, they are actually two different things. What is self esteem? What about self-confidence? Self esteem, otherwise known as self-concept, is a term that refers to how a person evaluates his/her worth. In other words, it’s how you think about yourself. Do you think you’re competent, worthy, intelligent, great? Is it the opposite? Or perhaps, somewhere in between? That’s what self-esteem is. Low self esteem leads to decreased confidence, which leads to lack of success in life. Overall opinion about oneself. Honestly, how do you feel about each aspect of yourself—from your physical appearance to your intellectual capacity to your social skills, and many more? You may have high regard for your intelligence but feel insecure about your looks. You may think you look great but think of your social skills as inadequate. But if you overlook your inadequacies and focus on your strengths, that results in a more positive overall opinion about yourself, with improved self esteem. Personal thoughts and perception. 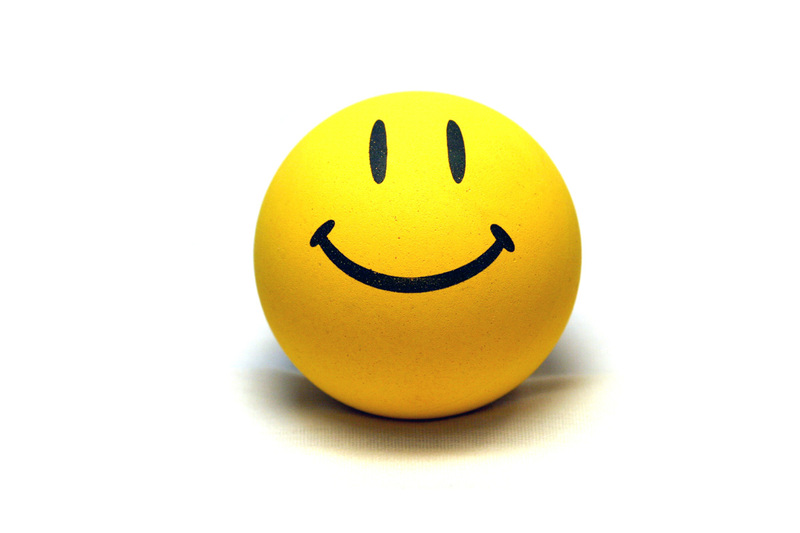 Having a positive outlook in life—your way of reacting to everyday occurrences—can contribute to a stronger self esteem building. Extremely high self-esteem – This makes some people think they are better than everyone, resulting in superiority complex. Low self-esteem – This is rooted from one’s negative self-image, the consequence is often inferiority complex. Healthy self-esteem – This the perfect balance that puts you in the middle ground. It’s a result of having a realistic perspective of yourself that while you’re good at some things, there are those that you know you need help with. Building self esteem is crucial to having a healthy well-being. It’s about time that you learn to have a much better but still realistic concept about yourself. 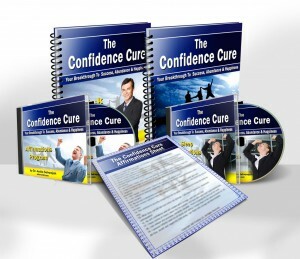 You can develop high self esteem and unstoppable self-confidence with… The Confidence Cure. This entry was posted in building self esteem, improve confidence, low self esteem, self esteem, self improvement and tagged building confidence, building self esteem, gain self confidence, how to be more confident, lack of confidence, low self confidence, self confidence, self esteem, self improvement on September 10, 2013 by ConfidenceCureGuy777. According to a series of studies conducted from 2005 to 2007 by a professor from University of Florida, people with high self confidence showed significantly better work performance than those who lack assertiveness. These people have been found to have high regard for themselves. They were also more motivated and less likely to get stressed or burned out at the workplace. As a result, they have higher levels of work satisfaction, higher income, and higher position in the corporate ladder. 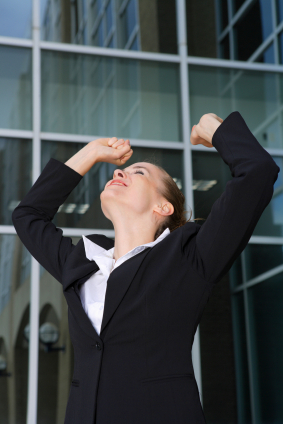 Needless to say, self confidence is one of the keys to a successful and fulfilling career. The lack of it, obviously, can be detrimental. Not having enough self confidence about yourself doesn’t only mean that you won’t make it to the top. It may also plunge you to the bottom. 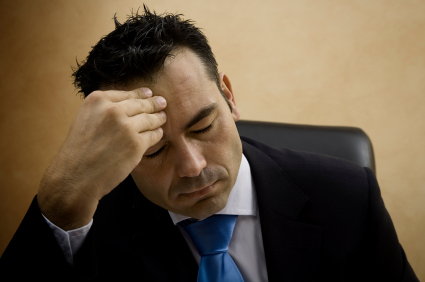 Here are ways on how low self-esteem can affect your job. Lack of self confidence prompt people to subconsciously undermine their abilities and success. The upshot is, these people wouldn’t think they deserve a raise or promotion. Their employers would eventually think the same thing too. People who are not self-confident tend to stay out of the spotlight, even when they’re brimming with great concepts. They are too afraid of rejection to risk it. When someone else pitches in a similar idea, they regret not having the courage to speak up. There is a common misconception that people who lack self confidence are inferior in intelligence, which is not necessarily true. Confidence and intelligence are not directly proportional but many employers make the assumption that they are. If you want to be more successful in your chosen career, self confidence is both an armor and a weapon that you need to wear and use everyday at work. People who feel sure about themselves are more likely to inspire the same confidence in others not only among their co-workers but also their bosses. Fortunately, self confidence is not entirely an inborn trait. It can be learned and harnessed. Here are effective ways on how to gain self confidence. Engage in positive self-talk. It’s important to know that self confidence starts within oneself. The best way to get it going is to empower yourself. Face the mirror each morning and remind yourself how great you are. Recognize your strengths and capitalize on them. Related to the previous tip, you need to acknowledge and appreciate all the good things about you, and the things you’re good at. While it’s true that not everyone’s perfect, it’s healthier for your self-esteem to focus on your positive qualities instead of your negative ones. Adapt the habits of confident people. Increase confidence by acting like someone who possesses it. Sit in front where you’ll be seen during meetings, speak up, speak loudly and clearly, don’t mumble or fumble, hold your head high, answer questions with assurance, admit when there’s something you don’t know, and so on. Surround yourself with people who make you feel good about yourself. If you keep on hanging out with people who make you feel inferior, then you’d start feeling like you are, and that’s a recipe for lack of confidence. Learning how to be more confident isn’t that difficult. It starts with the desire of achieving more success in your career. With proper motivation and the right moves, you can be on your way to becoming more self-assured, filled with self confidence and eventually, successful. If you liked this article, then… Discover The Confidence Cure! This entry was posted in building confidence, building self esteem, improve confidence, low self esteem, self confidence, self esteem, self improvement and tagged building confidence, building self esteem, gain self confidence, how to be more confident, increase confidence, lack of confidence, low self confidence, self confidence, self confidence tips, self confident, self esteem on September 10, 2013 by ConfidenceCureGuy777. No self-confidence and no positive belief system leads to… Failure! In the last couple of posts, we discussed how people fail to achieve their goals and dreams, even if they may be very smart and talented. We also discussed that the core problem behind this failure for most people is a profound lack of (1) high self-confidence, and (2) the positive belief system needed to play full out to win. Without high self-confidence, people tend to easily give up, or be distracted at the first sign of difficulty or resistance. Deep down, they don’t believe they can pull off the result they desire. Or if they do, they don’t feel worthy of it. Clearly, the answer is to develop the inner state of supreme self-confidence. This will give you the unstoppable drive to persist to your goals, no matter how stiff the opposition that stands in your way. But this isn’t so easy. We’re not talking here about some sort of phony positive thinking “hype.” This isn’t about pretending the garden is rosy when everything sticks to hell. It’s not about “fake it till you make it” or anything like that. No. What’s needed are changes at the deepest regions of your psyche. These changes then give rise to genuine self-confidence of the highest order. Once this is part of your mental structure, you become unstoppable. Now, making this sort of transformation is NOT easy. People can go their entire lives trying all sorts of methods, but failing to make substantial progress. That’s why I recently created a brand new system called The Confidence Cure. It does exactly what the title says. It uses very powerful brain-mind techniques to rapidly transform your consciousness from a failure to a super-success mechanism. This means, you don’t have to spend years trying to change yourself. This new super-charged system can produce very rapid change indeed. That’s because The Confidence Cure goes deep. It gets to the essence of the issue and fixes it. Once the core issue is resolved, everything else unfolds from there. Success becomes much easier to achieve. You can certainly take the findings that I’ve shared with you in these messages and try to boost your self-confidence through other means. It may take years to get the same result. Maybe it will eventually work. Maybe it won’t work at all. Who knows? 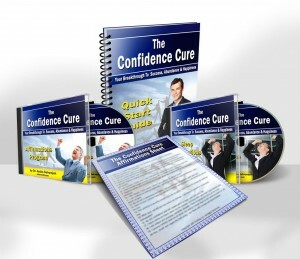 Or you can try the fast-track approach and use The Confidence Cure system to blast away the inner obstacles and put you on a rocket ship to success and achievement. Cure this, and you cure the core problem, and thereby attract more abundance, happiness, better relationships… in fact, whatever matters to YOU in life. Click the image to learn more about The Confidence Cure! This entry was posted in building confidence, building self esteem, goal setting, improve confidence, low self esteem, self confidence, self esteem, self improvement and tagged building confidence, goal setting, self confidence, self improvement, the confidence cure, wealth attraction on August 21, 2013 by ConfidenceCureGuy777.